The Monster Hunter series has always eluded me. The density of its systems, the endless grinding, and the esoteric style have all contributed to me bouncing off every title Capcom has released to this point. Then comes Monster Hunter: World. I have been enamoured with the game and simply cannot stop playing. 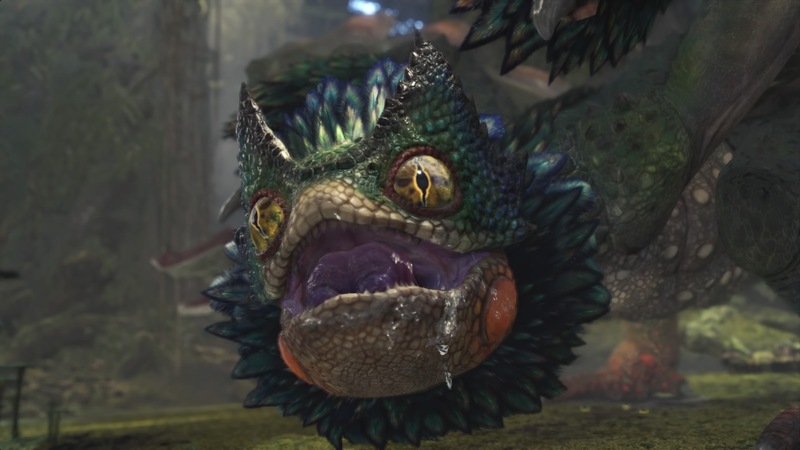 I don’t know exactly what it is that hooked me this time around, but I will attempt to describe my experience with the game and why I think it is a milestone for the Monster Hunter franchise. Just as a disclaimer to all the experienced hunters out there, this review is geared towards new players. 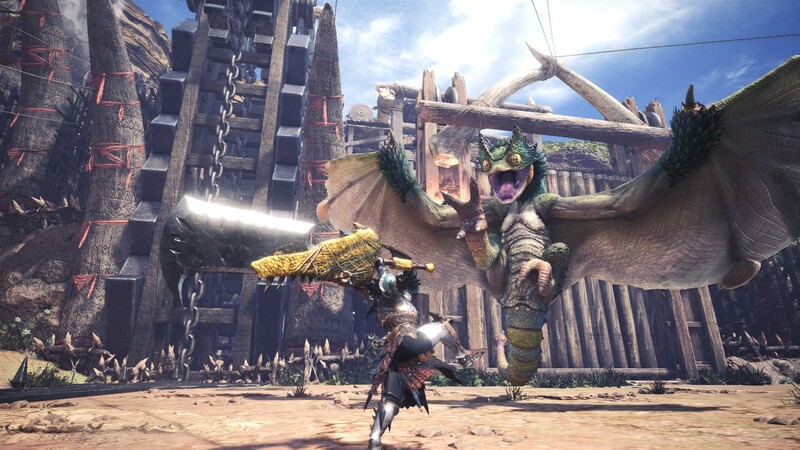 Even though I have played several hours of each Monster Hunter title, I still consider myself a new player when it comes to Monster Hunter: World. For veterans looking for minute differences between the games, there are better equipped people who can break everything down for you. Let’s start by describing what, exactly, Monster Hunter: World is, as both a game and a genre. It is an action-RPG that tasks players with bringing down large monsters, gathering materials, and crafting gear. There are many systems at play which range from the simple, such as gardening, to the more complicated cooking mechanic, all of which contribute to the that primary focus for the player: the hunt. 1 to 4 players can participate in a hunt, with each member bringing their own weapons, armor, and skill. In some ways, the hunts play out like a quest in a conventional RPG. It takes teamwork and communication to succeed on a hunt, so cooperation is the name of the game. 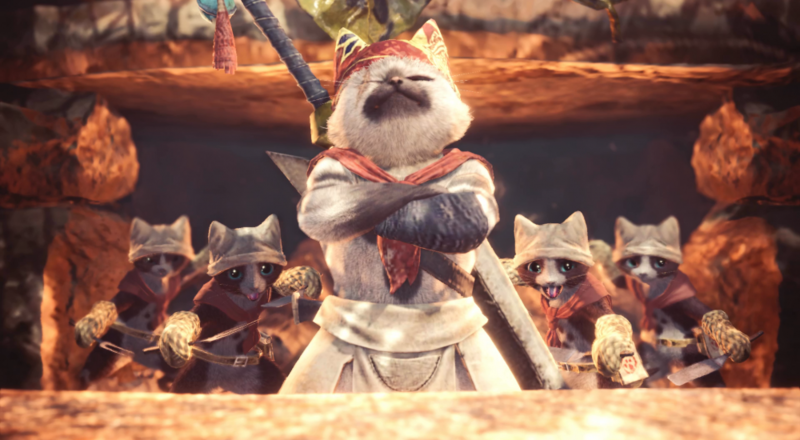 Monster Hunter: World does the best job in the series of onboarding players to the various mechanics and systems of the game. However, it still does a bad job of teaching you how to actually play the game. The tutorials are there, but are mostly large walls of text which don’t teach the practicality of things like choosing the right meal before a hunt, or determining what weapons work best with the skills provided by different pieces of armor. That being said, there are many quality of life changes that help the experience be as streamlined as possible. Gear will be the most intimidating system in the game as one can fall down a deep dark hole when it comes to equipping a hunter. With all 14 weapons available at the beginning of the game it can be difficult to chose, and some weapons are quite complicated. Thankfully, there is a training room to test out each weapon, so the first thing to do is to practice and get a feel for 1 or 2 weapons. Armor is the inverse to weapons in complexity. The early game is easy and doesn’t have too much of an impact on your hunter but late game is all about finding the right combination of gear to compliment your playstyle. Unlike previous games, Monster Hunter: World doesn’t limit a hunter’s weapon selection by armor choice, a nice change to simplify one of the more complicated systems. A new and much appreciated addition to the game is the Hunter’s Guide; an in-game wiki of sorts that is full of useful information. It starts out empty, but quickly fills up with knowledge gained from the monsters you find on a hunt. Gathering up feathers, scales, mucous, and analysing track marks all contribute to the Hunter’s Guide entry on a specific monster. Once a certain threshold is hit, a new rank is gained and a tasty morsel of information is given about the studied monster. These can range from elemental susceptibility, weak points on the body, or specific tips on how the monster acts. I know it sounds small, but this guide makes collecting information actually interesting and the reward is teaching players how to be a better hunter. Page created in 0.3427 seconds.